The internal abdominal oblique attaches from the inguinal ligament, iliac crest, and thoracolumbar fascia to the lower three ribs and the abdominal aponeurosis. 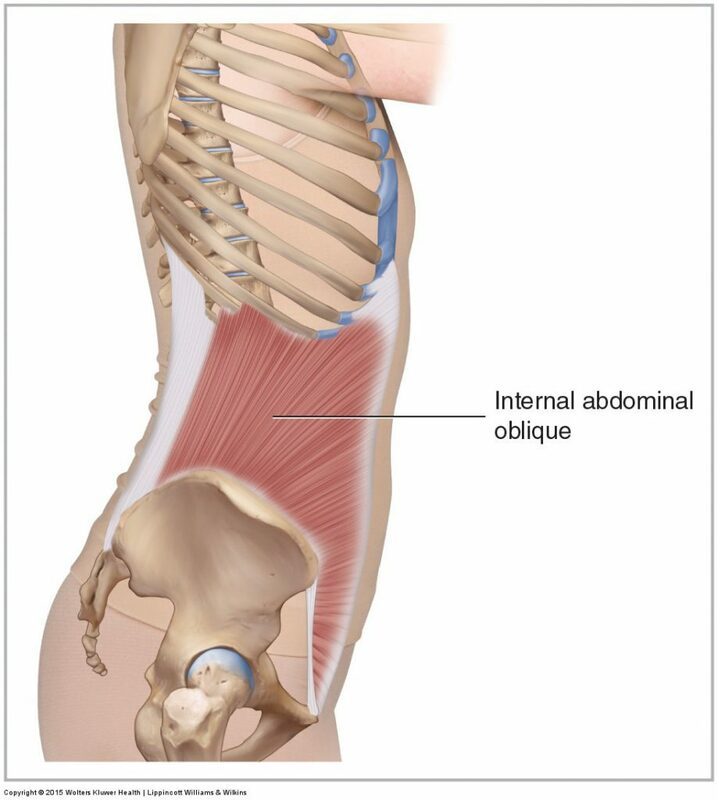 The internal abdominal oblique flexes, laterally flexes, and ipsilaterally rotates the trunk at the spinal joints. It also posteriorly tilts and contralaterally rotates the pelvis and elevates the same-side pelvis at the lumbosacral joint. The internal abdominal oblique also compresses the abdominal contents.